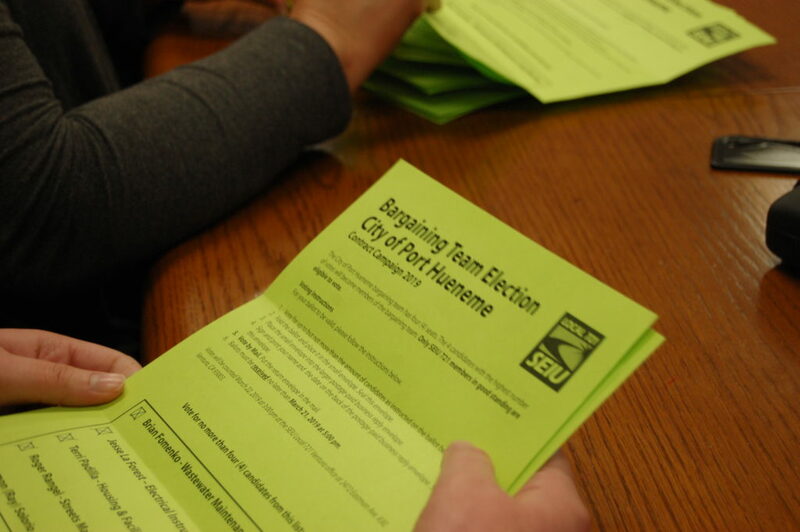 We had a record number of votes for this year’s City of Port Hueneme bargaining team. The ballots have been counted and the results are in! Congratulations to everyone who threw their hat into the ring! That commitment to our union is exactly what it takes to win a new, strong contract that uplifts our work and our families. The newly elected bargaining team will meet on April 2nd, along with Chief Negotiator Aram Agdaian, to formulate proposals. For questions, contact Worksite Organizer Edwin Valdez at Edwin.valdez@SEIU721.org, (805) 766-7499 or Chief Negotiator Aram.Agdaian@SEIU721.org, (213) 494-8223.